Windows 7 is not yet out and people like me have already started thinking about Windows 8. I’m sure it’s not just me, there are many out there who have Windows 8 in their mind. Previously, I had mentioned about several transformation packs like- Windows 7 transformation pack, Kubuntu 9.04 to Windows 7, etc. 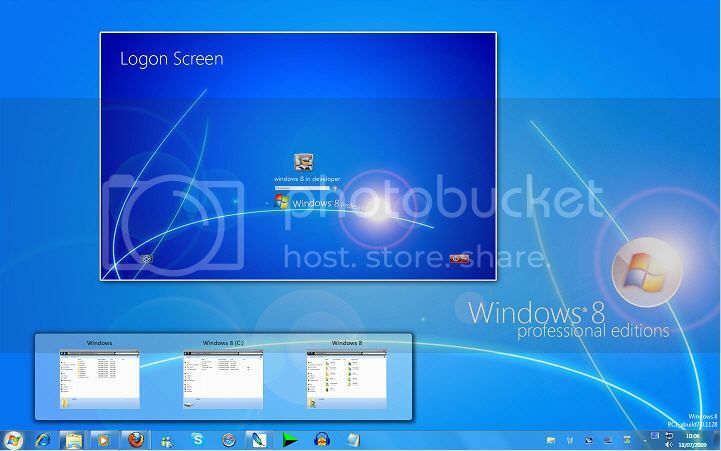 Today, I came across Windows 8 Transformation pack on Deviantart. It’s a transformation pack for Vista users. It looks pretty much like Windows 7 but there are many GUI changes like redesigned taskbar, Explorer, new boot screen and login screen, etc. I really liked the login screen, it’s amazing. Give it a try and know for yourself.